Luke Christophides is the latest pilot to pass through an instructor training course completing in April 2018 and he is now flying at Deanland. Lee Galliford completed in April 2017. Three other former trainees are now heads of other Flying Schools! Two are now training to fly commercially. 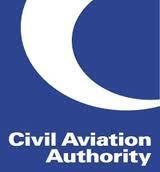 Kemble Flying Club is approved by the CAA for provision of Flying Instructor Training. David Young is one of just eleven people in the whole of the U.K. qualified to teach pilots how to teach others to fly microlights. He is one of just six who can teach on both flexwing and fixedwing microlight aircraft. He retains his passion for the sport and youthful enthusiasm but this is coupled with 30 years experience as a flying instructor and over 9,000 hours of instructional time. If you already know you want to train as an instructor then contact us for further details. If you fly and you are tempted by teaching then consider booking an aptitude assessment with David. He will discuss your experience and motivation, put you into briefing scenarios and fly with you to asses your ability as a pilot and potential as an instructor. Whatever happens you will have a great day out: the idea though is to confirm that instructor training is what you want to do and then give you the pointers as what to do next. It could be you are ready to sit the course pre entry tests immediately, or, perhaps you need to develop your flying skills, or theoretical knowledge, a little more before booking that training course. Experience has shown that trainee instructors who have only just made the grade to start a course struggle to keep up with everything they are supposed to be doing. Much better to lift your game first. The course after all is about teaching you how to teach – it shouldn’t be about teaching you how to fly! The end objective is to take and pass a Flight Instructor Test with and Examiner of Instructors so you can commence work as an Flying Instructor. The Rating you obtain is called a Flying Instructor (Restricted) FI(R). The restriction is because until you have built up experience you have to work under the supervision of an Flying Instructor and you cannot do certain things, like send someone on their first solo flight. For details of costs of aptitude assessment, pre entry training, pre entry test and FI courses click here.